Machine code or machine language is the name for commands. They can directly be executed by a processor. Usually, they are 1s and 0s. Their order tells the computer what to do. This code is the lowest level of software. All other kinds of software need to be translated into machine code before they can be used. Each processor has its own machine code. Each instruction is made up of an opcode (operation code) and operand(s). An instruction tells the computer to do one thing. The operands are usually memory addresses. An instruction set is a list of the opcodes used in a computer. Machine code is what assembly code and other programming languages are compiled to or interpreted as. Using a Hex editor. This allows to use opcodes instead of the number of the command. Using Assembler. Assembler languages are simpler than opcodes. Their syntax is easier to read than machine language but harder to read than high level languages. 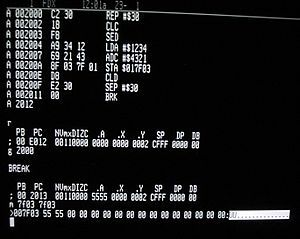 The assembler will translate the source code into machine code on its own. Operations acting on single bits: Shift left, shift right. Operations acting on memory: copy a value from one register to another. Every processor or processor family has its own machine code instruction set. They correspond to the different commands that can be given. An instruction set is specific to a processor or a family of processors that have a similar set up. Newer processors often copy all of its instructions. Processors that try to be similar to the original processor can also copy all of its instructions. Often, newer processors add more instructions not present in the original design. Sometimes a newer processor will change the meaning of an instruction. Sometimes it will no longer support it. This can change the compatibility of the code. Some old code will no longer work on the newer processor. Processors that are similar will sometimes act different. This is rarely a problem. Many systems may also be different in other ways. Their access to the memory or its arrangement may be different. Computer hardware may be connected in a different way. Also, the access to other hardware could be changed. A program normally relies on such factors. For this reason, different systems will typically not run the same machine code. This is true even when the same type of processor is used. Most instructions have one or more opcode fields. They specify the basic instruction type. Other fields may give the type of the operands, the addressing mode, and so on. There may also be special instructions. They are contained in the opcode itself. These instructions are called immediates. 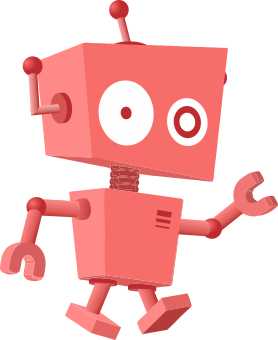 Machine code Facts for Kids. Kiddle Encyclopedia.